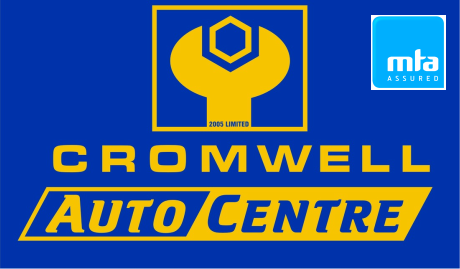 Here at Cromwell Auto Centre we repair and service all car makes and models providing the latest technology for efficient and timely servicing. Our highly qualified techs use the latest technologies for efficient diagnosis assessing fault light codes and computer scanning. We offer full automotive services that include Car Servicing, Warrant of Fitness, Tyres, Brake Repairs, Car Air-Conditioning, Car Battery, CV Joints, Oil Changes, Electrics and much more. As an Agent for the NZ Transport Agency we also provide New Vechile registrations, Plates and Road User Licences. Cromwell Auto Centre offers free pick up and delivery within the Cromwell town boundary. ​A Courtesy car available upon enquiry and availability. Quick turn around for all your vehicle servicing and repairs. We have plenty of parking and a warm customer lounge. We accept Eftpos, Visa, Mastercard and cash.